I am certain that when the day is done and we look back on the great songbook of Nicholas Ashford and Valerie Simpson (affectionately called “The Book of Nick-o-Val“), one of their greatest songs will be “Stuff Like That”, which they co-wrote with Quincy Jones for his “Sounds…And Stuff Like That” album. This soulful tune featured Ashford & Simpson and Chaka Khan on vocals and was definitely a summer song of 1978. You knew it from opening keyboard chords, the wah-wah guitar and the powerhouse vocals of this trio with a host of very capable background singers as you would expect on a Quincy Jones album. Now what you did not know was, whether the radio station was going to play the short or long version of the song, but you knew you would be groovin’. I am sure the making of this song laid the foundation for the Chaka Khan and Rufus album “Masterjam” produced by Quincy Jones and the songs “I’m Every Woman” and “Clouds” written by Ashford & Simpson for Chaka. A few years before Patti Austin made her duets with James Ingram, she was sweetly harmonizing with Luther Vandross on “I’m Gonna Miss You In The Morning” and laying down a soulful groove with Charles May on “Love, I Never Had It So Good.” She also testified on the gutt-wrenching remake of Lesley Gore’s ballad, “Love Me By Name” and sang like a beautiful sparrow on Stevie Wonder’s “Superwoman (Where Were You When I Needed You)” which was complimented by an ethereal background vocal arrangement. If you are counting, that’s four gems and she even served as concertmistress on the album. Herbie Hancock brings his magic to the quiet storm instrumental “Tell Me A Bedtime Story” featuring Hubert Laws on flute and Harry Lookofsky on jazz violin. An all-star heavenly choir with Gwen Guthrie and Luther Vandross on lead bring “Takin’ It To The Streets” straight up into the church complete with a sistah whaling an awesome note towards the end. Although this album only has seven tracks that comprise 36 minutes of music, it unquestionably displays Quincy Jones’ musical genius and his ability to bring together the best and brightest of the day to produce a spectacular album complete with author Alex Haley writing the liner notes. Enjoy your music!! This entry was posted on Friday, April 25th, 2003 at 7:53 am. It is filed under Flashback Friday and tagged with Alex Haley, Chaka Khan, Charles Mays, Gwen Guthrie, Harry Lookofsky, Herbie Hancock, Hubert Laws, Luther Vandross, Nick Ashford, Patti Austin, Sounds...And Stuff Like That, Valerie Simpson. You can follow any responses to this entry through the RSS 2.0 feed. i need to hear this! How funny, I heard “Solid” on our oldies station on the way to the gym this morning. I turned it up and sang right along with Nick and Val. 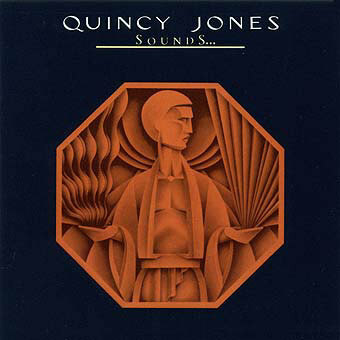 As for Quincy, I think I’ll start with “The Dude” album this morning.